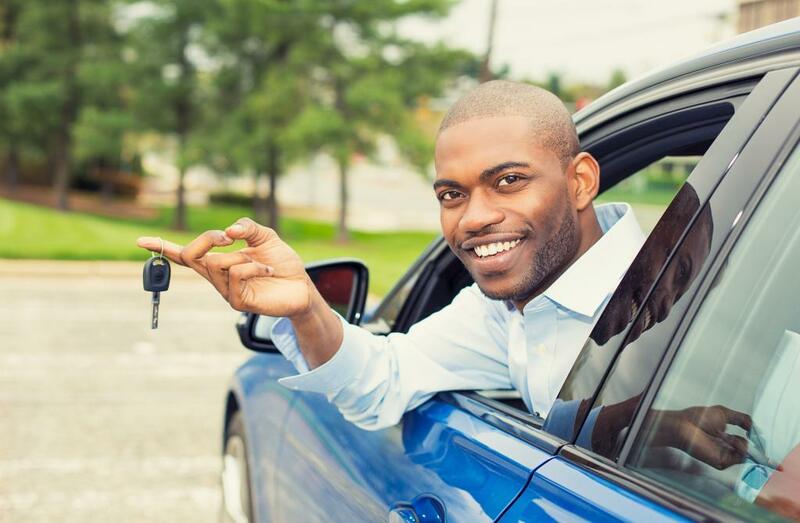 A low credit score shouldn’t stop you from applying for an auto loan. Keep in mind as you’re driving down the freeway that one of every five cars around you is financed with a low credit score car loan. If you secure that loan before you step onto the dealer lot, you don’t even have bring up your credit score. You secured the loan with just a few keystrokes. Remember, too, that car sales are declining—bad news for manufacturers and dealers, but good news for buyers. Sales have been declining since 2017 and experts predict this trend will continue into the 2020s. Why? Millennials and Gen Yers hesitate to take on debt. Further, urban dwellers depend more and more on Uber and Lyft to supplement public transportation. Both populations are successfully avoiding car ownership. These trends mean that car dealers and salespeople are hungry for sales. They won’t bat an eye that you have a low credit score auto loan. In fact, if you declare bankruptcy, you may be surprised at how many letters and calls you get from nearby dealers explaining that they know your situation and have a great deal for you! Consolidating high interest rate credit cards with a lower interest rate personal loan impresses the credit bureaus, raising your score. A personal loan lowers your credit utilization ratio, adds variety to your loan types and indicates you’re serious about improving your credit score. These indicators push your score up. If a large, bricks-and-mortar bank has turned you down for a personal loan because of a low credit score, First Financial can help. Borrowers who are new to credit or rebuilding credit find lenders hesitant to provide funds. Because First Financial has chosen to specialize in low credit score borrowers, we’ve modified the application and qualification process. We can approve far more applicants with little additional risk. Our financial managers have created a comprehensive application more accurately gauges the subtleties of a borrower’s financial history. We have helped to arrange personal loans for borrowers with special needs, students, bankruptcy-filers and low-income individuals. Unexpected cash needs impact nearly everyone at some point. In fact, the most recent Federal Reserve’s Fifth Annual Survey of Household Economics and Decision making reveals that 40 percent of Americans can’t afford to make an unexpected payment of $400 or more without selling a belonging or borrowing money. By taking sensible steps, you can get through this period without losing a car, a job or your sanity. Because you arrange the cash transfer from the comfort of home through easy online transfers, you maintain your privacy. Once you’ve completed the process by filling out the final page of the form, you cash will be deposited in your bank within 24 hours. We do not perform a credit inquiry for this short-term loan, so your credit score will not be affected. Credit card offers that come in the mail are designed for the average American with average needs and income. Most likely, you are not average. Cards for a generic consumer most likely will neither save you the most money nor deliver the best rewards. The starving student needs a different card from the hotel discounts one the avid traveler seeks. Homebodies don’t want a card that provides cash back for restaurant meals and other entertainment. First Financial has the best cards designed according to individual needs and lifestyles. Some offer the lowest introductory rate, but they’re different from those created for applicants with low credit scores. See First Financial’s options for the credit cards low credit score borrowers need! You probably qualify for a loan! Review these typical score breakdowns so you’re ready to fight for the interest rates you deserve. 780 and above – Exceptional. You qualify for the best interest rates and terms. 700 and Above – Very good to excellent. You can easily get a loan. The average credit score in the United States today is 700, 14 points higher than its low in 2010. 680 to 699 – This credit score puts you in the ” Good / Fair” category. You may pay slightly more than those in the “excellent” category. 620 to 679 – If your credit score falls into this range, you fall into the “Okay” category. The closer your score is to 679, the better. 580 to 619 – While you aren’t in the “Bad” category yet, you are teetering on the edge if your credit score falls in this range. This level is officially “poor” credit. 500 to 580– You can still get credit in this range. More information may be required. 499 and below – Even with a score of 499 or below you can still be extended credit. More information will be required. The world of borrowing and lending is changing, but we’ll always keep you up to date so you can maximize your money. Too many Americans hear about the improving economy but are not experiencing it. Despite headlines and a surging stock market, nearly 50% of Americans still have low credit scores. More, 78 percent live paycheck-to-paycheck and 71 percent carry debt month to month. Fifty percent of America’s 92 million millennials have a “side-hustle” to improve cash flow. Even babyboomers, Gen Xers and Gen Yers have created side hustles at a rate of 37 percent. A+ rated First Financial is thrilled when our low-credit-score borrowers pay regularly enough to move up through poor credit rating to fair to good to excellent. You can be one of these. We will still have lots of loan products for you. And the best way to get there is to demonstrate your reliability by paying the full amount on time, every time. Keep in mind, too, that once your credit rating goes up, you can refinance your car or home at a lower rate, lowering your payments. First Financial’s use of the most cutting edge technology and automation not only saves borrowers money, it protects their privacy and time. The mobile accessibility we provide brings lenders right to your smartphone, tablet or laptop, ready to make their best deals to win your business.